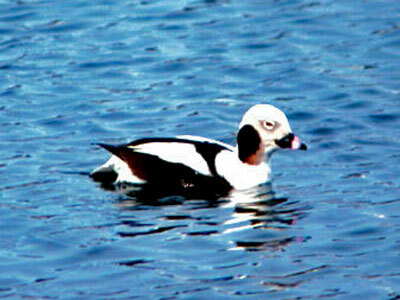 The long-tailed duck, or oldsquaw is a species of sea duck that winters on the Chesapeake Bay. Named for their arrow-like tail feathers, long-tailed ducks are fast and agile on the wing. They often gather with scoters in open water to rest and feed.